Many of you were probably wondering if I had checked out. Actually, I had a great time down in Pensacola Beach, Florida before I had realized I had left my laptop and Nikon camera in my Hotel room two days later while I was in Memphis. Luckily they had found my stuff in my Hotel room but the Hotel Manager (whom I will choose to remain nameless) didn’t keep his promises to get it shipped and I finally contacted the Hotel Brand Customer Service to get my laptop back. When I made the original call, I was assured it would be shipped the next day. Three days later on Friday, my Yahoo email address sent spam out to everybody on my email address without me having access to my laptop for over a week. I received the notifications on my Droid phone. I figured somebody was accessing my computer. I called the hotel and after two hours I got a hold of the Hotel Manager and sure enough my laptop had not been shipped. In fact I got two more false ship dates before I got an actual UPS tracking number the next WEDNESDAY!!!! It arrived the following Friday, two weeks after I checked out. You know I usually give people a second chance, but in this case, I think I will wait till they get a new Manager. By the way, Pensacola and the whole Florida Panhandle was a great getaway. It was a major music party that weekend. I did have a good time until two days after I left and went through that episode. Let me recap. I booked the Hotel the week before Memorial Day in hopes of peace and quiet to leave behind the Nashville night life and do some songwriting only to find that The Hangout Music Festival with everybody from Paul Simon to Motorhead was on for three days in Gulf Shores, Alabama. Not only that, but Kenny Chesney was doing a concert on the beach as well. I tried to get a day ticket instead of press credentials for the Hangout Music Festival only to find out it was sold out. 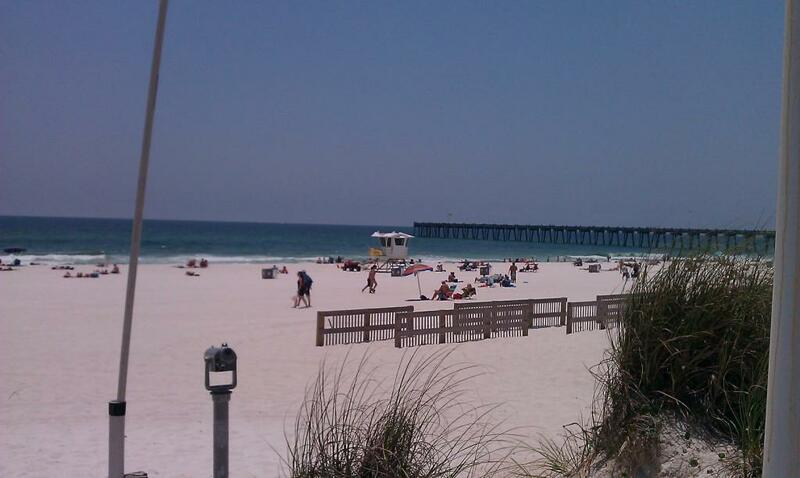 Okay fine, on with my original plan except Pensacola Beach was in the midst of a summer kick- off party as well so after day light hours of quiet beaches and good food, at night it was party time. Friday Night was Gallery Night in old downtown Pensacola New Orleans style iron work and balconies. There was music everywhere from a rockin’ Kiss tribute band, Love Gun, at The Vinyl Music Hall, Art Galleries open and Clubs lining Palafox Street. Between the great seafood at Atlas Oyster House, especially the Blackened Shrimp with Smoked Gouda Cheesy Grits with Portabella Mushroom Remolaude, there was plenty to do. 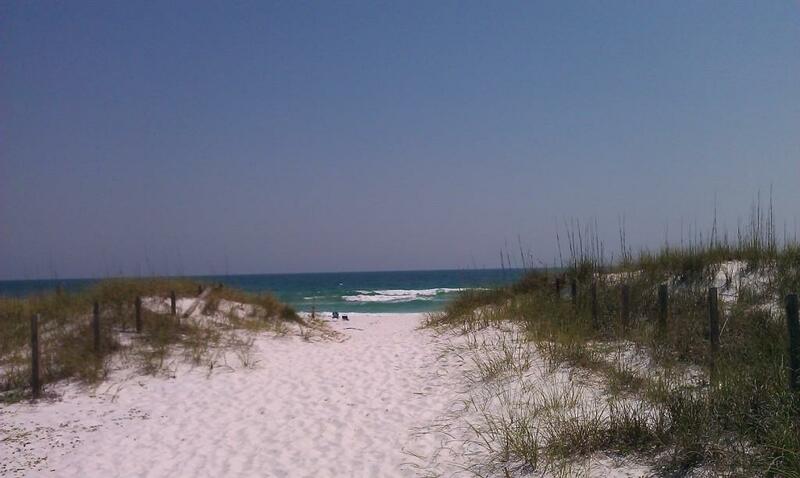 I didn’t get much songwriting done, but, the white sands between Fort Walton and Destin made Saturday the reason why I hope to end up in Pensacola when things slow down. In fact, being by the gulf, why would I want to make any plans? It feels great to be on a wandering gypsy adventure. By Saturday night the local party was cranking up with 80’s tribute band The Molly Ringwalds rocking the Boardwalk outdoor stage at Captain Fun’s Beach Club. With a bass player dressed up like Dee Snider and a keyboardist doing Pee Wee Herman they ran through the 80’s from “Everything She Does is Magic” to Queen’s “Under Pressure”. While I was enjoying the music and scene down in Pensacola Beach a local told me about a historic Club called Seville Quarter that had everything from a Piano Bar, Dance Club to local live music out on the patio. 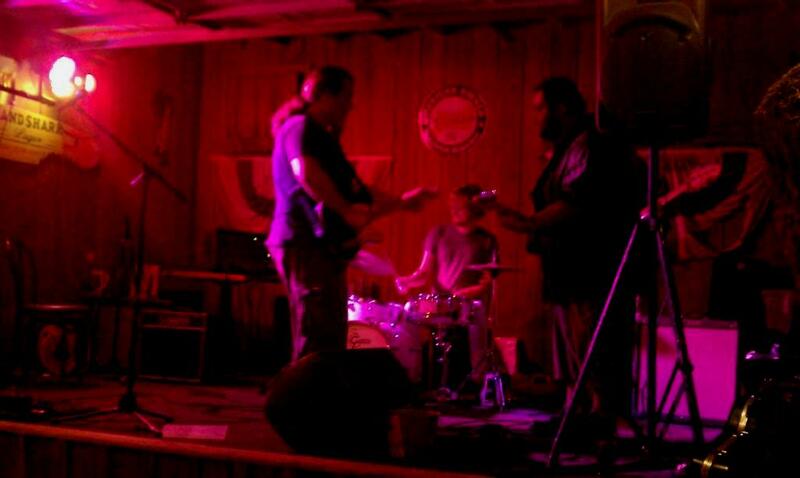 I met him down there and caught a set by local musician and music store owner Big Jim Brown and The Speed Kings. He was described as a blues guitarist, but, more accurately kind of roots rock closer to Tom Petty. A lot of nice people and a mix between old hippies and local Air Force military and plenty of beautiful girls kept the party going late into the night. Sunday I met with an old friend and ended up at Atlas Oyster House again. There are plenty of Restaurants in and around Pensacola but it was my favorite. 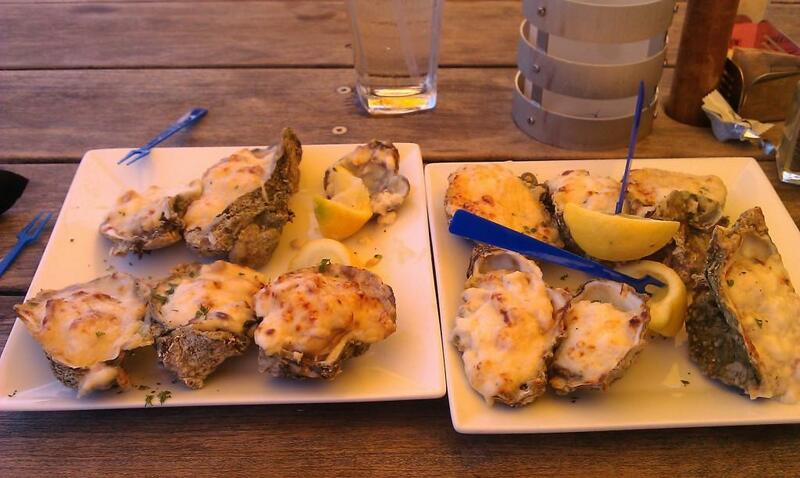 For the final Seafood du jour, I had a dozen Baked Oysters with Shrimp, Parmesan and spices with the best slice of Key Lime Pie I ever ate. 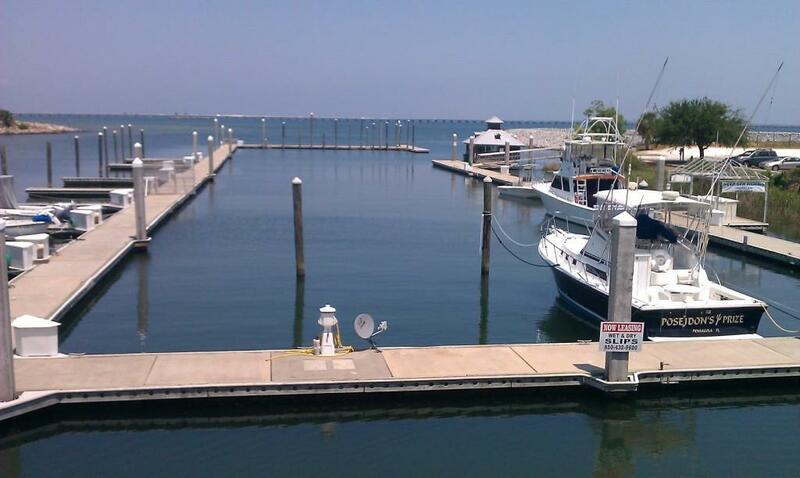 The boat dock and the bay made for great scenery on my last full day. Monday I headed up to Birmingham to pick up a new pair of Supra Dixons at the most authentic skateboard store in the south, CCS at The Galleria in Birmingham and catch up with friends. 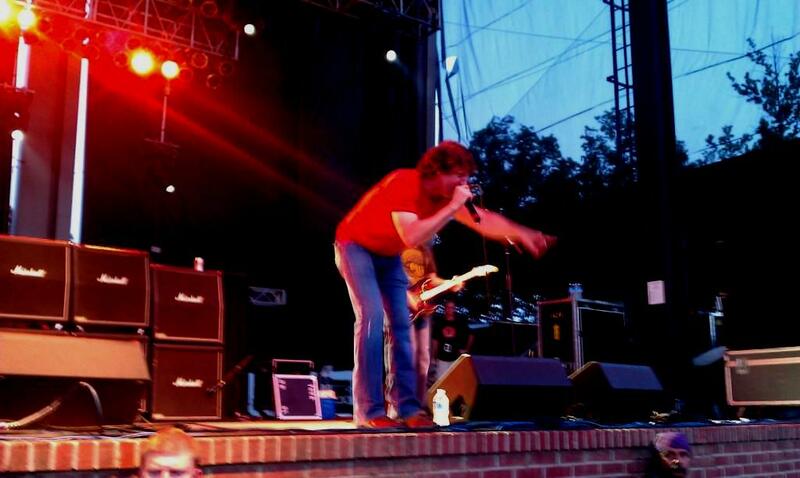 Tuesday, I was off to Memphis to support FnA Records recording artists Tora Tora opening up for Whitesnake at Snowden Grove in Southaven, Mississippi. I helped out with the label merch while catching them play stuff off their new disc, Revolution Day, like “Mississippi Voodoo Child” as well as “Revolution Day”. They were getting their groove on in front of the hometown crowd. It never fails when I watch a band at their hometown gigs from back when, the old friends stop by and tell me about going to high school with the band or hanging out at band practices. It’s always fun to hear the stories and realize how many years have gone by. 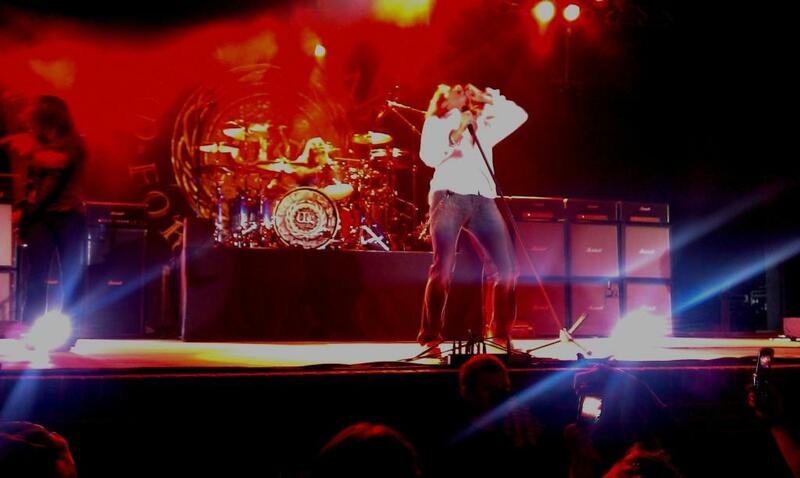 I hadn’t seen Whitesnake since Jon Sykes and Cozy Powell were in the band. The only permanent fixture is David Coverdale. They were bent on playing a lot of the new stuff. The guitar slingers on this round were Reb Beach (Winger, Alice Cooper, Dokken) and Doug Aldrich (House of Lords, Dio). Doug Aldrich looked like a 30 year old Randy Rhoads in full stance, Les Paul in hand; hard to believe he is 47. His playing was phenomenal. I was planning on going to Branson to meet up with SIX aka The Knudsen Brothers. I had Co-Produced Praises We Sing back in the Nineties at Ray Charles favorite L.A. Studio, Trax Recording. SIX is now one of the top performing groups in Branson, living the high life, family style, in Branson, Missouri. One of the benefits of doing a Vegas style show in Branson is being able to be home during part of the day and home in your own bed at night. It is a big change from being on the road or paying some hard won dues in Las Vegas. 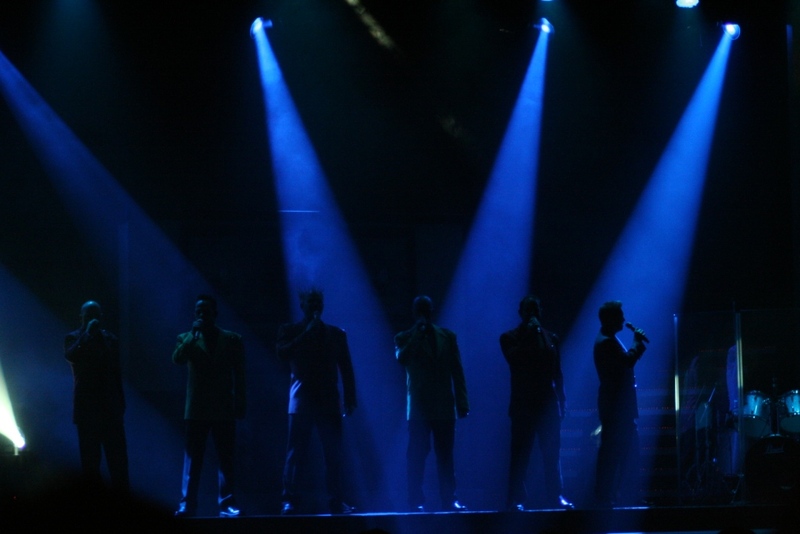 Six is arguably the most successful Accapella group ever while still staying out of the main stream radar. I’ll have to head to Branson another time. I got home Wednesday morning at 3am because of major pain with my teeth. I made a call to my Dentist at nine and immediately his office set an appointment up with the Entodontist at 10:30am. After looking at the X-Ray’s, the Entodontist sent me to the Oral Surgeon at high noon. It was serious. Luckily, Dr. Clark in Franklin was really good. I had never been there before, but the staff and Dr. Clark made me feel comfortable with their relaxed attitude and framed photos of San Francisco. It turned out Dr. Clark was from the California Bay Area where I had spent a lot of time with relatives growing up. He had me out with a mouth full of stitches by 2:30pm. It may not have been the planned ending to my vacation, but, the parachute worked. Now that I finally have my laptop and camera back, I have a lot of catching up to do.